Spring 2012 Online Course Registration Open! The Association for Library Service to Children (ALSC) announces the release of the schedule for spring 2012 online courses. Registration is open for all courses. Classes begin Monday, April 2, 2012. All of ALSC online courses are taught by experienced library professionals. These instructors understand the public library environment and teach practical skills in their online courses. When weighing your options for online professional development, please consider the quality and caring of ALSC instructors. Series Programming for the Elementary School Age (four weeks, April 2 — April 27) examines series clubs. Lots of libraries have one-shot series parties or events. This course, taught by Lisa Shaia, children’s librarian at the Oliver Wolcott Library in Litchfield, Conn., expands on the one-shot idea and provides the tools necessary to establish series clubs at the library so that more children will read and use the library more often. Enjoying trivia, games, music and reading, children will clamor to come back to the library each week. 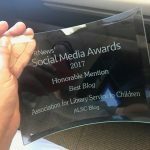 The Sibert Medal (six weeks, April 2 — May 11) investigates how the Sibert Medal winning book is selected. Taught by K.T. Horning, director of the Children’s Cooperative Book Center (CCBC), this course is new for 2012! 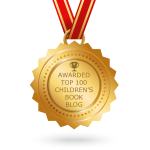 Learn about the history of the award and how informational books shape children’s lives. Out of This World Youth Programming (four weeks, April 2 — May 11) assists librarians in creating, planning and evaluating youth services programs. Taught by Angela Young, youth service librarian at the Lorain (Ohio) Public Library System, this six-week course also addresses the need for librarians to look to the community for resources and partnerships. Information Literacy — From Preschool to High School (six weeks, April 2 — May 11) takes a comprehensive approach to how young people acquire and process information. Taught by Maryann Mori, library consultant, this course will present you with new ways of teaching information to your young patrons. Detailed descriptions and registration information is available on the ALSC website on the ALSC Online Education page. 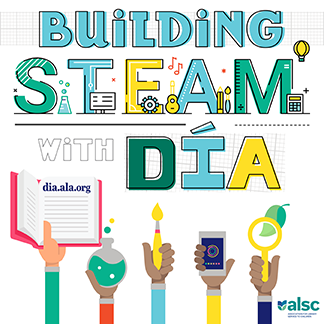 Fees are $95 for personal ALSC members; $145 for personal ALA members; and $165 for non-members. Questions? Please contact ALSC Program Officer Jenny Najduch at jnajduch@ala.org or 1 (800) 545-2433 ext. 4026.